Maximize the impact of annual sales meetings. Tips from the experts at HubSpot and LinkedIn will have you poised for success in the era of social selling. You want to be better in 2015, and so does the rest of your sales team. Attacking personal and organizational goals will take everyone working together, and the sales kick-off meeting can set the tone for your success. This motivational, team-wide touch point can help sustain early-in-the-year enthusiasm and drive stellar performance all year long – when it’s done right. HubSpot and LinkedIn have teamed up to retool the sales kick-off meeting for the social selling era. 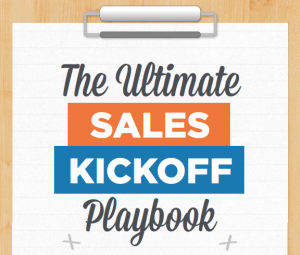 "The Ultimate Sales Kick-Off Playbook" eBook features tactics sales leaders and reps can use to make this annual get-together more productive. And because sales and marketing functions are increasingly aligned around the new buyer journey, there are insights on how sales and marketing can work together better within a culture of social selling. These recommendations will not only help tackle the proposed social selling tactics during your kick-off meeting but ensure their lasting power beyond the conference room. 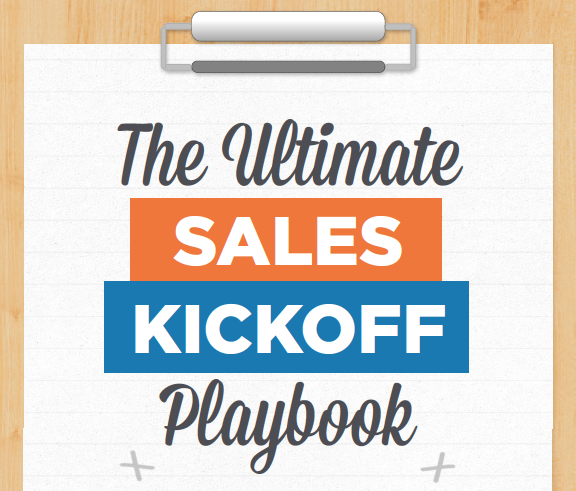 Make your annual meeting a success with "The Ultimate Sales Kickoff Playbook" eBook. All involved will appreciate a value-driven approach to this event that can be transformative for your business and their individual success.